Hatfield was on the frontline of the clandestine war during WWII. Given it was responsible for many aircraft and missiles critical to the air defence of Britain afterwards, it is highly likely that it featured in Cold War spying activity – but MI5 won't say. Agent ZigZag – Eddie Chapman was a 'gelly man' by trade: a safecracker who blew them open with gelignite (without destroying their contents!). Serving a prison sentence in Jersey when the Germans invaded, he offered to work for them. Parachuted into England, his mission was to bomb the de Havilland factory at Hatfield but he went straight to the authorities and convinced them he could work as a double agent. An elaborate deception was conceived to fool the Germans into thinking he had succeeded. He returned to Occupied Europe and was later parachuted into Britain a second time (the only man known to have done this). This time he was to record where German V-1 flying bombs fell, so the Germans could adjust their aim. Needless to say, the information he radioed back was inaccurate. Karl Richter – German courier carrying cash for one of their field agents. He was captured near Salisbury Hall, London Colney (where the Mosquito prototype was designed and built, causing concerns that the Germans had discovered the secret workshop). He spent a night in the cells at Hatfield Police Station before being moved to London. Refusing to become a double agent, he was tried and hanged. John Nesbitt-Dupont – A flying instructor at Hatfield, who having trained some of the pilots who later fought in the Battle of Britain, went on to fly on operations with 1419 Flight RAF – dropping and retrieving SOE (Special Operations Executive) agents. 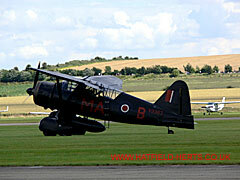 He flew a Westland Lysander – the aircraft type shown in the photo above. Please note the all black 'stealth' paint scheme, the fixed ladder for agents to climb in and out of the aircraft, and the long range tank under the fuselage. Anna Maria Lesser – German spying activity in Hatfield, according to a 1970 magazine article, dates back to WWI. It is claimed Anna Maria Lesser – who some believe to be the shadowy 'Lady Doctor' – spied on the tank trials at Hatfield. Having lied her way into temporarily leading the local Scout troop, she allegedly used them as her eyes and ears. However, her reports were evidently not taken seriously by her handlers, and the tank came as a complete surprise to German troops when it was first used in battle (she reportedly sent the officer who had ignored her report a loaded gun, which he used to commit suicide). While Mata Hari was the most famous German female spy, there are reports of an agent who was never caught – the Lady Doctor. Anna Maria Lesser is reported to have confessed on her deathbed in 1934 to being this agent. Please note: it has not been possible to confirm any of the details in the article. In fact, Tammy Proctor, in her book on women agents, cites the lack of evidence on this 'Lady Doctor' superspy to propose a theory that she was nothing more than a male fantasy figure. Also, with Hitler in power in Germany in 1934, if such a confession was made The Times would more than likely have reported on it but no such article has been found. While there are some references to films and plays based on an Anna Maria Lesser's story, a search on the National Archives and MI5 websites failed to register any hits, so this claim needs to be treated with some caution.